The 'CEO Comfort Strap' offers a sleek design while providing maximum comfort. The durable neoprene strap incorporates top-grade leather and custom cord to arrive at the ideal strap. The unique slide holds the desired length while offering easy, two-finger adjustment capabilities. The versatile 'CEO Comfort Strap' has a choice of two connection options. You can attach the unique leather tab to your thumb rest or use the plastic-covered metal hook if you have an eyelet attachment on your instrument. 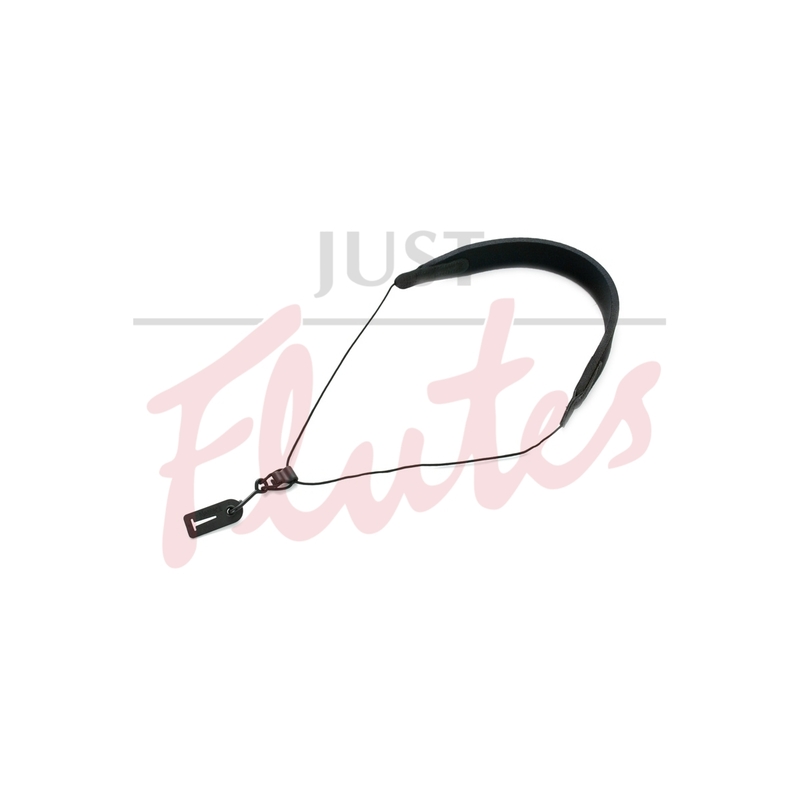 The end result is comfort for your neck and shoulders while providing relief for the all-too-common thumb fatigue frequent among clarinet and oboe players.